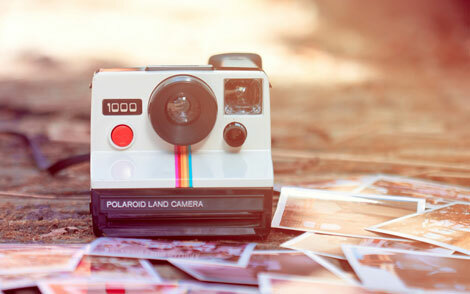 Most psychology studies are "snapshot studies" - they give you information about people's behaviour or thoughts at one particular moment in time. However "time" is a very important variable in human experience. We change over time and how we are at one moment in time might not be representative of how we are at a later date. Longitudinal studies treat "time" as one of their independent variables (IV). They test people at different points in time. Another way of looking at longitudinal studies is that they look at the effects of AGEING on people. However, not all longitudinal studies are interesting in ageing. For example, if you studied people being treated for depression, checking their symptoms at the start, half way through and at the end of the treatment, this would also be a longitudinal study. However, it's not really looking at ageing: it's looking at the impact of following a course of treatment for a certain amount of time. Longitudinal studies often last for weeks or months but some of them can last for years or decades. Case studies also follow a person over a period of time. This means that case studies are longitudinal designs. Longitudinal studies recruit a group of people at the same point in time - the COHORT. The cohort may be people who are all the same age (eg people born in the same year). It may be people who all start an activity at the same time (eg people joining a mental health treatment programme) or receive a diagnosis at the same time (showing how their illnesses progress). These participants might be different ages at the start of the study. Data is taken about the cohort at the start. This is the BASELINE DATA. There are usually several TEST POINTS over the period of the study when the same data is collected again. At the end of the period of study, there is a FINAL TEST POINT. The test point could be an observation, psychometric or biometric tests, interviews or some combination. Prospective studies take a cohort who don't have anything special in common and follow them to see if they start differing from each other "into the future". 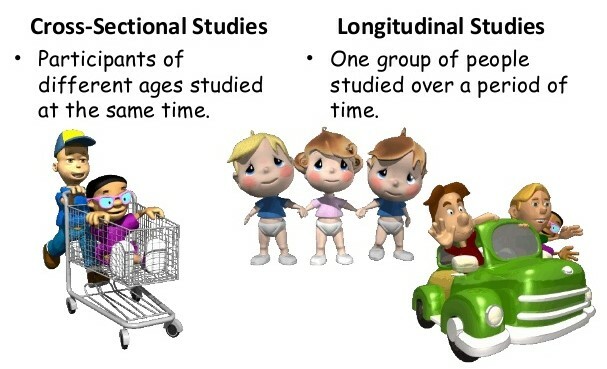 When psychology tests (and exams) use 'longitudinal study' they normally mean prospective longitudinal study. 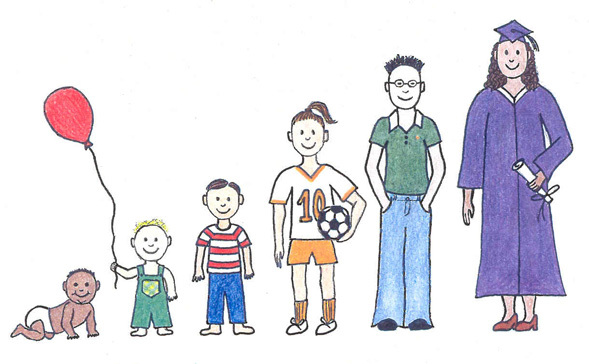 A longitudinal study going on right now is the Avon Longitudinal Study of Parents & Children - better known as the 'Children of the '90s' Project - run by the University of Bristol. The study recruited 15,247 mothers who gave birth between April 1991 and December 1992. It follows their children but has been expanded to include fathers and siblings. The biggest problem with prospective longitudinal studies is that they take so much time. Jean Golding, who founded the 'Children of the '90s' Project, retired in 2005 after leading it for 15 years and her work was taken over by someone else. The alternative to a longitudinal study that you can carry out in an afternoon is a cross-sectional study. This sort of study uses several groups of participants who are at different points in time. For example, it might use a group of 5 year olds and a group of 10 year olds - or a group of people just starting psychotherapy and a group of people already half-way through psychotherapy. The assumption is that the younger/earlier group WILL TURN INTO the older/later group in time. You should think of longitudinal studies as being like REPEATED MEASURES DESIGN: you test the same group of people on different occasions. Cross-sectional studies are like INDEPENDENT GROUPS DESIGN: you test different groups of people on the same occasion. Videos and text books often link longitudinal/cross-sectional design to studying DEVELOPMENT. This is true, but these designs can also study things like how well people with mental disorders respond to therapy or how well offenders respond to rehabilitation programmes. The world's longest running longitudinal study is the Genetic Studies of Genius - known as the Terman Study of the Gifted. 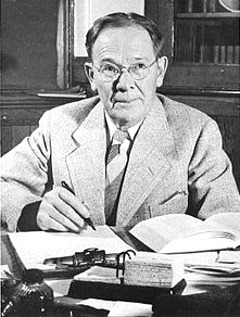 The study was started in 1921 by Lewis Terman (left) to investigate how highly intelligent children developed into adults. The study originally had over 1,500 participants (nicknamed "Termites"). They were selected as children for their high IQ scores. By 2003 there were only 200 left and the study will continue until the last participant either drops out or dies. Terman's study was supposed to prove that IQ would predict great success in life and many 'Termites' did become very successful. However, Terman was accused on meddling with the project (such as helping some of the participants get into university). The 'Termites' also grew up in the Great Depression and lived through World War II, so it's not clear how much of their life was shaped by their childhood IQ scores and how much by social changes going on around them that affected everybody. Sample attrition is when the sample gets smaller because people are "dropping out" of the study. This isn't a problem for snapshot studies or case studies (a case study just stops when the participants leaves) but it's a big problem for prospective longitudinal studies. The reason why sample attrition is a problem is that the participants who drop out are (from a research viewpoint) the interesting ones. Respectable, law-abiding and mentally stable people with good health and their own homes tend to stay in studies; people with chaotic home life, mental health issues, criminal backgrounds or dangerous lifestyles tend to drop out. This is particularly a problem for clinical psychology and criminal psychology, because a stable and law-abiding sample may be unrepresentative of the type of people researchers want to study. Bradshaw (1998) carried out a case study of Carol, a young woman with schizophrenia. This was a prospective longitudinal design because it followed Carol's progress over 3 years of therapy and revisited her again a year after the therapy finished. Brown et al. (1986) carried out a prospective study of working class women in Islington, North London. The women were interviewed to assess self-esteem and social support then revisited a year later to see if any had experienced stressful life events and suffered depression. Large cohorts (like the 'Children of the '90s' Project) can be very representative - but they aren't always. Terman's 1,500 'Termites' included only 4 Japanese, 1 black, 1 Indian and 1 Mexican child; all the rest were White. Another problem is that, even if the cohort is representative for its generation, it might not be representative of the generations that come after it. Longitudinal studies try to used standardised procedures and test the cohort in the same way. However, the passing of years can reduce reliability, especially if the researcher dies or retires and is replaced by someone else (as happened with the 'Children of the '90s' Project). Another problem is that, over a long period of time, the researchers can form relationships with the participants and influence how they develop. Terman found this problem with his 'Termites' when he tried to help them with their careers. The main use of longitudinal studies is to find "risk factors" or "predictors" of things like success in adulthood, mental disorders or criminality. This is done by comparing members of the cohort who developed in the same way and then looking for what they had in common (genes, IQ, family background, etc). These factors can be used to give an "early warning" of how a person is going to turn out unless there is some sort of intervention. They can also identify the people who benefit most from particular types of therapy, to help doctors offer the best treatment to patients. Participants in a longitudinal study are almost always aware of being studied and this introduces problems. Many people are flattered for being selected for a study (especially if they have been selected for their "superior IQ", like the 'Termites'). This might make them more ambitious in life. Researchers must watch out for the Hawthorne Effect. This is a confounding variable in studies where participants work harder or have better health outcomes because of the boost to their self-esteem for being monitored in a study. It's also called the "Somebody Upstairs Cares!" Effect. Longitudinal studies of cohorts of children have a particular ethical issue, because the researchers are interfering with the children's development just by studying them. This can be for better or for worse. The children can't consent (although they can withdraw when they reach adulthood) so instead there is presumptive consent from their parents. This becomes an even bigger problem when the participants develop personal problems that the researchers become aware of. Should the researcher get involved to help the participant with their problem (which ruins the reliability and validity of the study and perhaps goes against guidelines for professional boundaries between practitioner psychologists and their clients)? Or should the research stay out of the situation, possibly observing a participant behave destructively, become ill or suffer unhappiness that could have been prevented? A 8-mark “evaluate” question awards 4 marks for describing the longitudinal design (AO1), and 4 marks for evaluating its use in the clinical psychology application(AO3). You need a conclusion to get a mark in the top band (7-8marks). 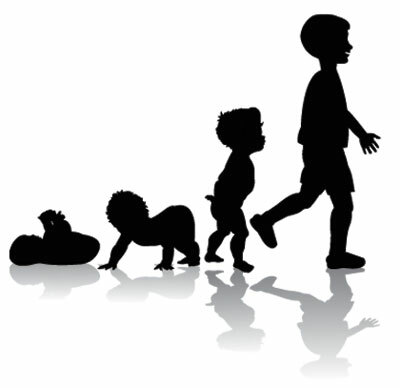 In clinical psychology, a longitudinal study looks at how participants change over time. A common sort is the prospective study. This usually involves a cohort of people who are all the same age or who start a course of treatment or receive a diagnosis at the same time. There are also case studies which use a single participant instead of a cohort. An example is Bradshaw's study of a woman with schizophrenia. Finally there are retrospective (or historic) studies, which look at participants with mental disorders and investigate their past for possible risk factors. Longitudinal studies show a condition developing over time, which is much better than just a 'snapshot' of an ill person at any moment in time. Longitudinal studies might reveal which therapies are effective (like Bradshaw did with CBT) or which people are "at risk" of mental illness. However, there is a danger of sample attrition because people might "drop out" of a long study. One way round this is to use a cross-sectional design instead, which compares groups at different stages all at once. Longitudinal studies are time consuming and demanding, but reveal a lot more about the development of mental disorders than other sorts of research. Notice that for a 8-mark answer you don’t have to include everything about longitudinal designs. I haven’t mentioned any particular studies other than Bradshaw and I haven't explored issues of researcher bias or the Hawthorne Effect. But it is a balanced answer - half description, half evaluation.